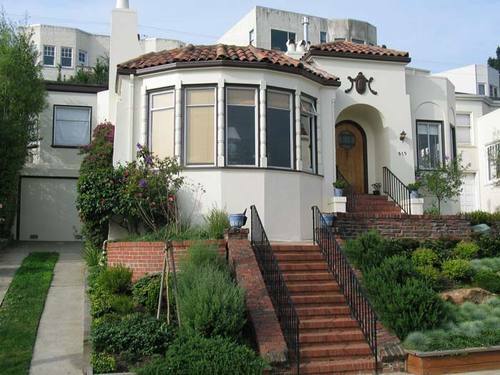 A neighborhood designed with middle-class families in mind, Westwood Park has evolved into one of the most sought-after and exclusive places to live in all of San Francisco. Like its neighbors, Westwood Park was created in the larger Twin Peaks West district in the early 1900s. Of the district’s 15 other small neighborhoods, Westwood Park was one of the first built with the aim to develop a suburban garden at the center of a large city. The homes found here consist primarily of bungalow-style houses reflecting the many popular architectural styles of the early 1900s such as Spanish Revival, Craftsman and English Cottage. At the center of the neighborhood, a unique oval racetrack-like street layout borders Ocean Avenue to the south. Unlike some of its other affluent residential neighbors, Westwood Park has its own commercial strip along this portion of Ocean Avenue, offering residents a variety of dining, shopping and retail. And as residents travel further outside of their personal suburbia, they can access more extensive shopping and dining adventures. Transportation is close, with both a BART station in Balboa Park and public bus lines running nearby, as well as Highway 280 access. The unique layout and design efforts behind Westwood Park give it a clear distinction among other San Francisco neighborhoods adding to the overall diverse vibe of the city.